This is a feel good project with young families in Biggar. It is a collaboration between a story teller (Tony) and myself (images). The small people involved are between 9 months and 3 years. 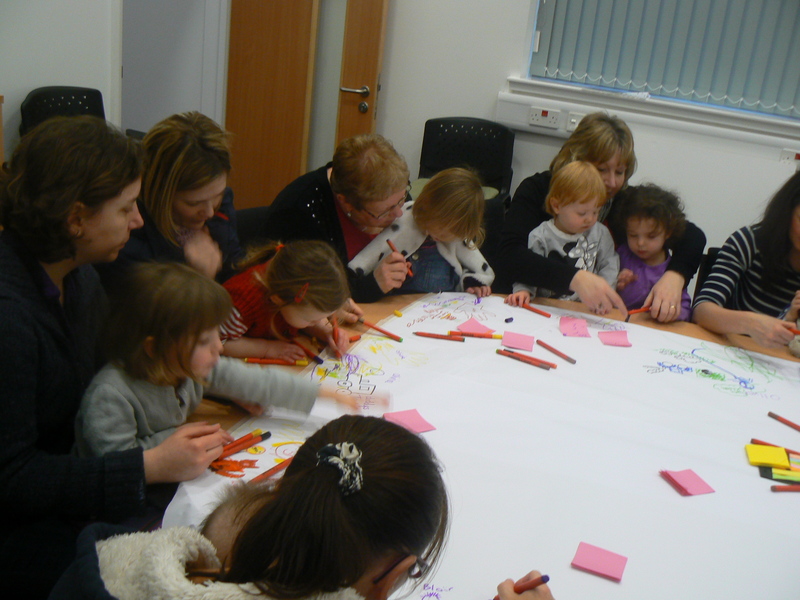 The families have been taking part in workshops with Tony to create their own special story “Once Upon my Time” . We will be creating a book of these stories which needs some exciting and colourful visuals to go with it, this is where I come in. I wanted the images to have a fairytale feel to go with the title of the book, “Once Upon My Time”. I came across these images and thought they really fitted the bill and I could build an interesting project around light, colour and shadows. I wanted to spend the session getting to know the group and introduce the project and myself. 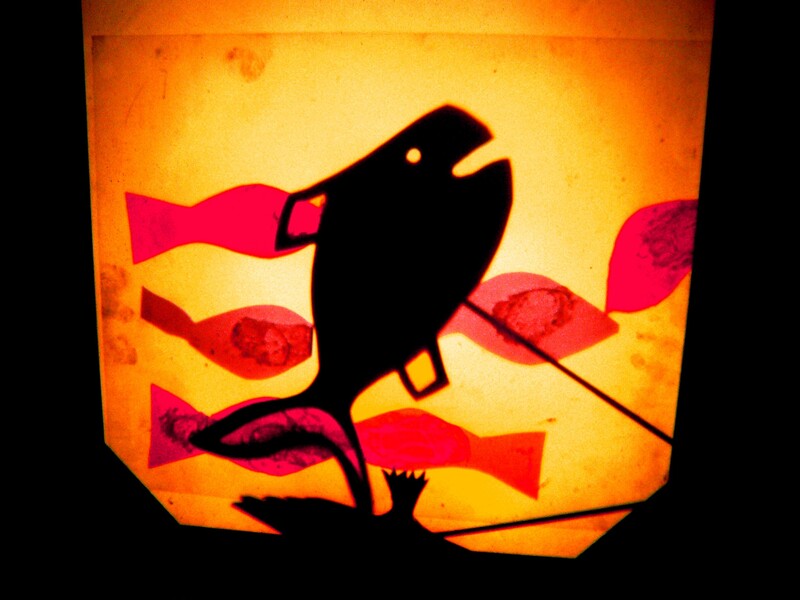 First a set up the projector and told my “Once upon my time” story using puppets all about me and my life. The group reacted really well to this. 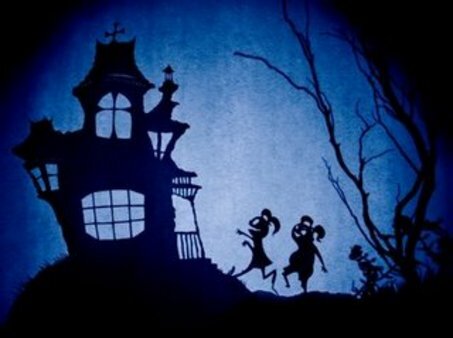 It was a new experience as the shadows danced around the wall of the dimmed room. As I explained what the project was about they seemed excited about creating their own images and puppets to illustrate their stories. I was hoping this first introduction would hook them on the project and make them excited to attend each week and I think it worked. Next it was time for the families to work on their own stories. They got to draw, write and scribble the things that are important them. 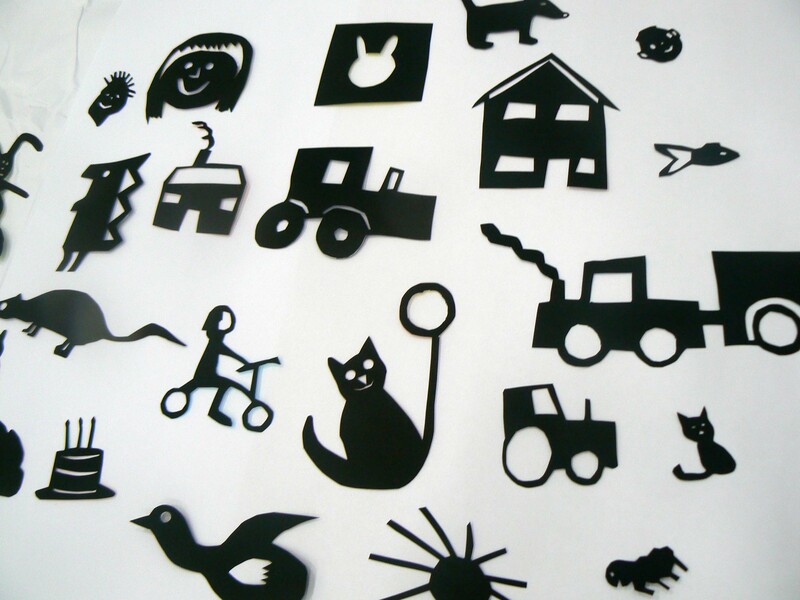 I took the drawings that the families made last session and turned them into shadow puppets. The group was amazed at how great their work had turned out. As there is quite a large age gap between 1 and 3 I decided to offer two activities, one that would suit the younger and one a bit trickier. 1) I made some homemade playdough and brought it along so the group could make shapes from it which could then be turned into shadows using the projector. 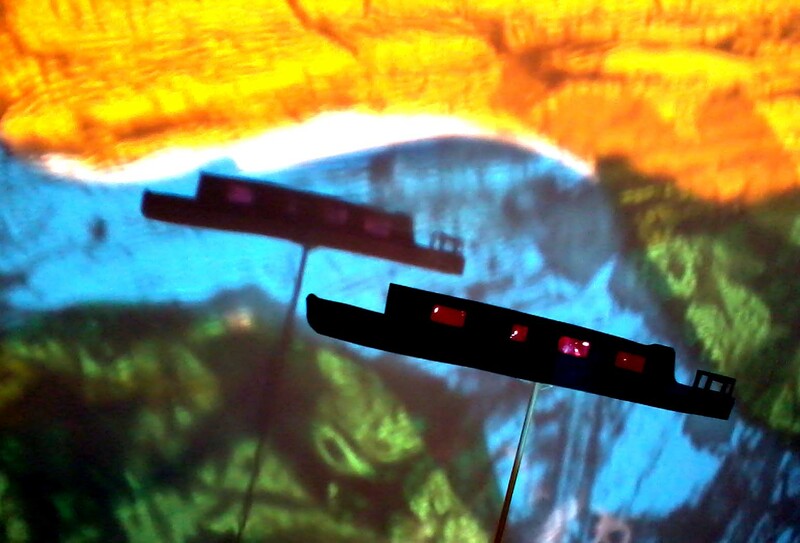 2) I challenged the group to make colourful backgrounds for their puppets using coloured acetate. 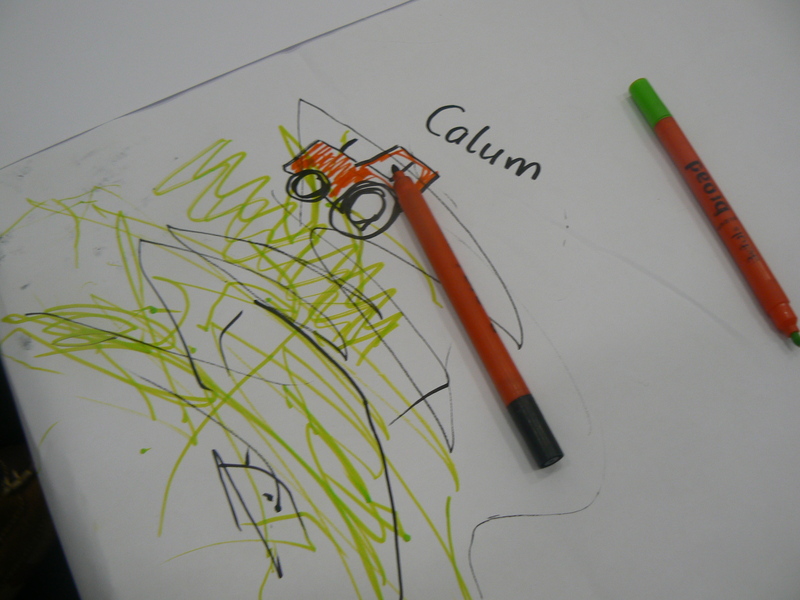 Images for the book are starting to look good …..
We had alot of fun making sensory bags. 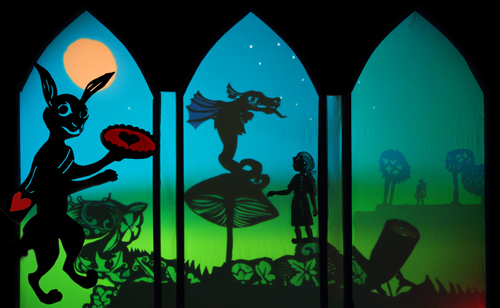 These were great to play with but also looked amazing when projected onto the wall. 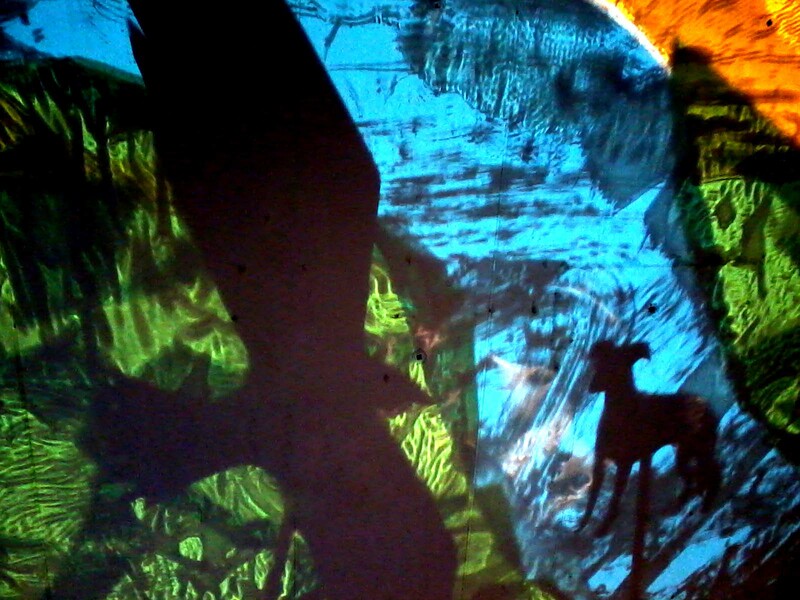 It was time for the families to make their very own shadow theatres to take home.